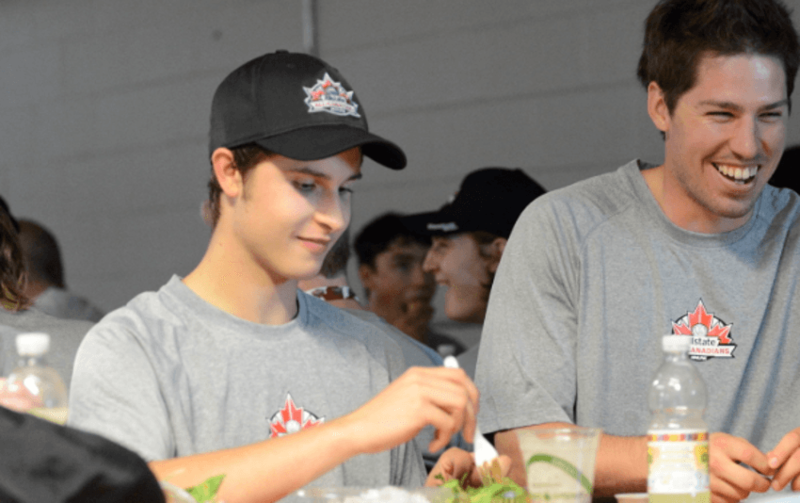 It’s not every day that 14-year-old hockey players get the opportunity to hone their skills alongside all-star NHL players in front of a national audience - but this week - 42 of Canada’s top Bantam-aged players are doing just that. The third annual Allstate All-Canadians National Mentorship Camp kicked off Tuesday, August 6th, bringing the nation’s top elite 1998-born players to Toronto for a 360 degree development camp designed to fully prep these potential-packed athletes with the dynamic workout training, on-ice skill development, nutrition information, and life skills knowledge to help propel them to further success in their hockey pursuits. On day one, the young players from across Canada - and their families - arrived in Toronto, Ontario, for a warm NHLPA welcome. They met their fellow camp attendees, were outfitted from head-to-toe in new equipment from Reebok, and had their All-Canadians headshots photographed. In the evening, the group headed over to the Hockey Hall of Fame for a welcome reception and dinner. The players and their parents took in the venue’s historic hockey exhibits, trophies and displays, and fuelled up for Wednesday’s early morning start. Day two of the invite-only camp was more demanding - but also more rewarding. Logan Couture (San Jose Sharks) and Dominic Moore (New York Rangers) hit the Hershey Centre in Mississauga early to meet the players before being split into two teams that will ultimately be coached by NHL players Claude Giroux and Jason Spezza in Saturday’s Mentorship Cup game that will be broadcast on TSN2. Couture and Moore spent the day on the ice running drills with the players, critiquing their performance, and offering them advice to help improve their abilities. They also ended their drill session with a Q&A that offered the players the opportunity to pose questions to their hockey heroes. Mid-day, the group broke for a nutrition-packed lunch to get them through the afternoon. Couture and Moore ate their lunches alongside the players, sharing laughs and stories with each other. Various other skill-development activities were staggered throughout the remainder of the day, including dry land training with Matt Nichol and Lorne Goldenberg - two of Canada’s top pro-athlete trainers - as well as a sports psychology seminar with Dr. Paul Dennis, who has worked with the Toronto Maple Leafs as a mental coach for over a decade. The day came to a close with a nutrition seminar about the importance of whole foods from sports nutritionist Ryan Dennis and former-NHL player Gary Roberts, and ate a recovery meal to fuel up for another big camp day on Thursday. 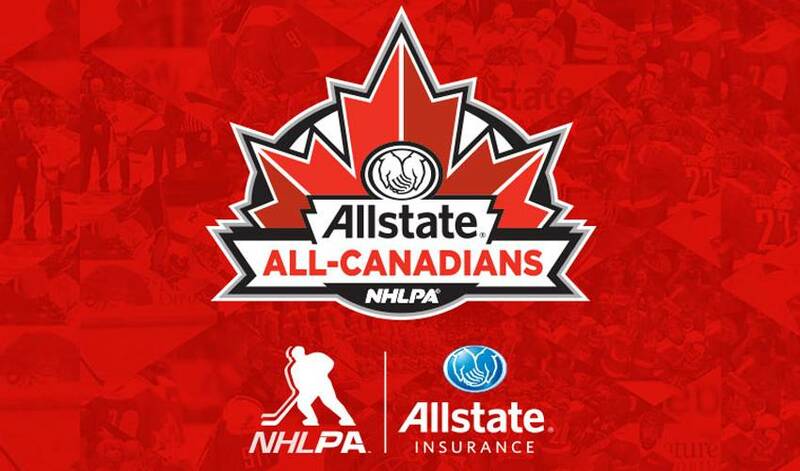 Follow us on Twitter @All_Canadians, @NHLPA and use the hashtag #AllCanadians to join in on the conversation. We're posting live updates daily. Full photo gallery on the All-Canadians Facebook page.